Ride the West is a western state adventure along the Pacific Coast from Oregon to Southern California. This 23-day fully-supported touring-pace ride averages 65+ miles per day and crosses through 2 states (California is really long!). 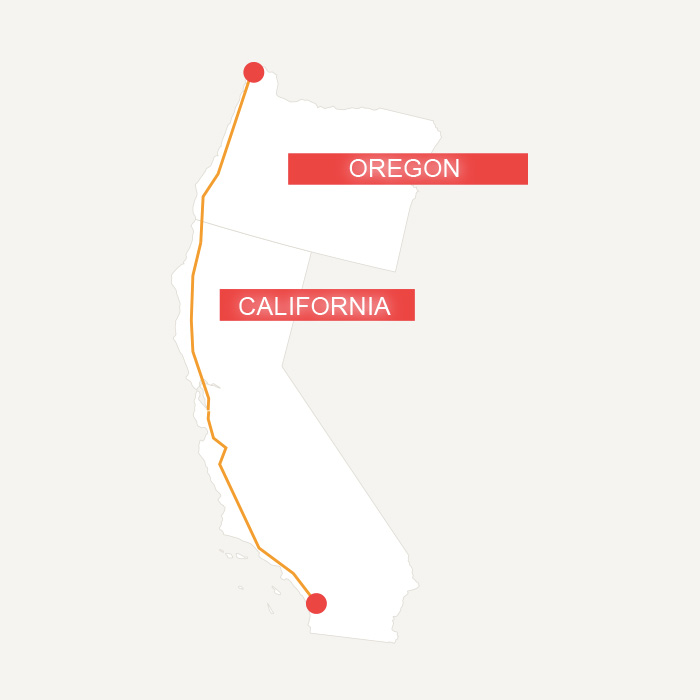 The 1413 mile route begins in Astoria OR and wends its way south to Costa Mesa, CA. From the beautiful Oregon Coast and the majestic Redwoods of Northern CA, to the spectacular ocean views and inland valley roads of Sonoma Valley, each day will be an adventure you will never forget. Ride the West is a challenging bicycle ride that has something for every cyclist.